After a string of rumours and speculations that started way back in 2012, the Amazon Fire Phone has finally arrived. The company has launched the smartphone for a price starting at $119, which translates to approximately Rs 11,500. All the buzz around the Amazon phone has been its so-called 3D shopping feature and its renowned services for mobile, which means that less is known about its hardware. So, let’s take a closer look at its specs with a complete review. 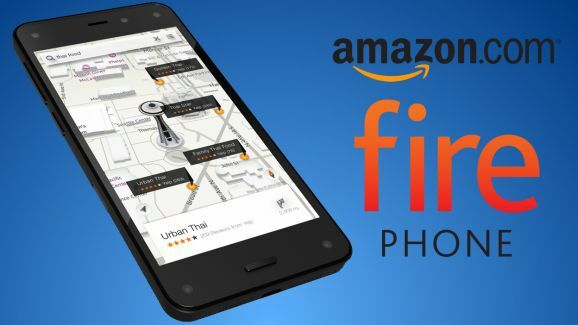 The Amazon Fire Phone runs on a forked version of Android that it has decided to call Fire OS 3.5. Basically, this is a forked version of Android 4.2 Jelly Bean. But the general consensus is that Amazon has made so many adjustments that the new Fire OS does not resemble Android in any way. Google services also may not be a part of the smartphone, but there is the possibility that you can sideload them as APKs. The carousel feature on the phone gives you the ability to look at frequently (and recently) opened apps, and each app can list off some recent notifications. As for the app grid itself, you can put apps in whatever order you want, as well as add extra content like books, websites and other specific items.” It is interesting to see how Amazon has ‘yet again’ camouflaged Android with its own UI and services. The Fire comes powered by a quad-core Snapdragon 800 CPU. Not the latest breed, but good enough at that price. The processor clocks at 2.2GHz and also supports an Adreno 330 GPU. It includes 2GB of RAM, which is good enough to handle all those apps and services. Keeping in view other phones with a similar pricing, the Amazon smartphone comes equipped with a 13-megapixel rear camera. The company has opted for an f/2.0 5-element wide aperture lens along with support for multi-frame HDR, auto focus, optical image stabilization and LED flash. For sefie lovers, it has also included a 2.1 MP front-facing camera. Both front and rear cameras support 1080p HD video recording at 30 fps. There is no dearth of sensors in the Fire Phone. It is loaded with a gyroscope, accelerometer, magnetometer, barometer, proximity sensor and ambient light sensor. It also introduces the Dynamic Perspective sensor system with invisible infrared illumination. The device falls short of a phablet, but we don’t think that should bother anyone. Just like the Moto X, it has remained steadfast on the 720p, which gives the device screen HD resolution. This means the pixel density will go all the way up to 315 ppi – this is a good display, but not anywhere in the league of say, an Apple Retina Display. However for the pricepoint, it is a fairly decent screen. The display comes with a typical 590 cd/m2 brightness and 1000:1 contrast ratio. It also gets a layer of Gorilla Glass protection. The Amazon Fire Phone is neither too large nor too small with its 8.9mm thickness. It measures 139.2mm x 66.5mm x 8.9mm, which is an easy fit. The device tips the scale at 160 grams, and with Gorilla Glass on both sides, will give users a good feel to the device. It will also be fairly well protected. The device supports 3G with UMTS/HSPA+/DC-HSDPA (850, 900, 1700/2100, 1900, 2100 MHz). It also supports quad-band GSM/EDGE (850, 900, 1800, 1900 MHz). One can also expect support for 4G, and it is believed to support nine bands. The Fire Phone is Wi-Fi-enabled and comes with support for ‘ac’ draft along with a/b/g/n. It also supports Wi-Fi channel bonding. The device supports NFC as well as GPS with Assisted GPS and GLONASS. The phone comes with the slightly older Bluetooth 3.0 wireless technology. Reports point out that though the device supports Bluetooth LE, it won’t launch with the ability. This means the company could release a software update to support the feature eventually. However, there is no word as to when Amazon will do so. It is quite unlikely and disappointing to see a device with some powerful features lack a basic connectivity feature, which is now common even in entry-level Androids. The device will be fuelled by a 2400mAh battery that offers up to 22 hours of talktime and 285 hours of standby time. The video playback could roughly last up to 11 hours and audio playback up to 65 hours. Dynamic Perspective: This uses a new sensor system to respond to the way you hold, view, and move the phone. What this means is that some apps on the phone will have a three-dimensional depth to them, and tilting the phone will let you peek around the edges. Firefly:This has a dedicated button on the smartphone and you will recognise things in the real world from QR and bar codes, movies, music, etc. It is a way to scan and identify products and media around you just by pointing a camera at something. Once you snap a picture of a product you like, the smartphone will show you where to buy it from. It can even direct you to more information, such as pulling up a Wikipedia entry on a painting might have clicked. The feature will also let you snap bar codes, email addresses, phone numbers.